The 2nd knowledge transfer workshop of MaRITeC-X successfully took place on the 16th and 17th of May at the Southampton Marine and Maritime Institute (SMMI), where all the MaRITeC-X partners participated along with the Co-Chair of the MaRITeC-X Advisory Board and the representative of the Deputy Ministry of Shipping. It is worth noting that the participation of the head of the Advisory Board was sponsored by the British High Commission in Nicosia, Cyprus, which has strongly supported the MaRITeC-X project from the beginning. During the first day of the workshop, the SMMI partners welcomed the MaRITeC-X team members and presented the operations of SMMI, as well as technologies and research activities that the Institute has developed. They also gave to the participants a tour to the state-of-the art-facilities of the Boldrewood Innovation Campus of the Institute and demonstrated the capabilities of some of them, namely of their towing tank. Additionally, the participants visited the Waterfront Campus of the Institute and the National Oceanography Centre and were informed about the RTDI activities that the Centre conducts for the marine and maritime industry. On the 2nd day of the workshop, a representative of the Lloyd’s Register (LR), who was among the guest speakers, presented examples of successful cooperation between LR and SMMI on RTDI activities, highlighting the importance of enhancing links between the industry and the research institutions as well as the significant societal impact generated through such partnerships. 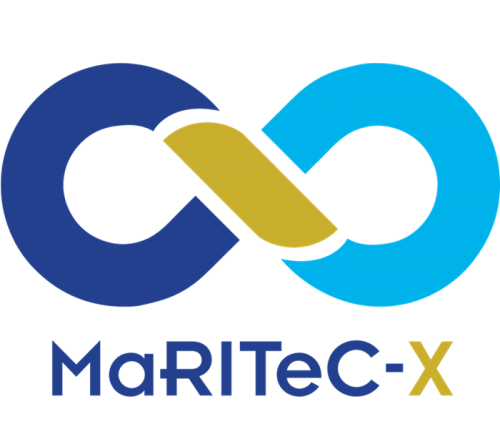 After that, constructive discussions took place between the MaRITeC-X project partners regarding the structure of the MaRITeC-X Centre, the RTDI activities that it will perform and the potential synergies that it can establish with various Blue Economy Stakeholders. Additionally, the updated results of the gap analysis and stakeholder consultation were presented which aimed at identifying the gaps and needs of priority Blue Economy sectors in Cyprus as well as at international level. These results along with the input received during the presentations and discussions are expected to feed into the Science and Innovation Roadmap and ultimately the business plan of MaRITeC-X, the main deliverable of the project in phase 1.